As we approach Good Friday and Easter Sunday, we are reminded of the ultimate sacrifice Christ made for us at Calvary. Leading up to the Crucifixion, Jesus asked His disciples to stay up and pray (Luke 22:45-46). 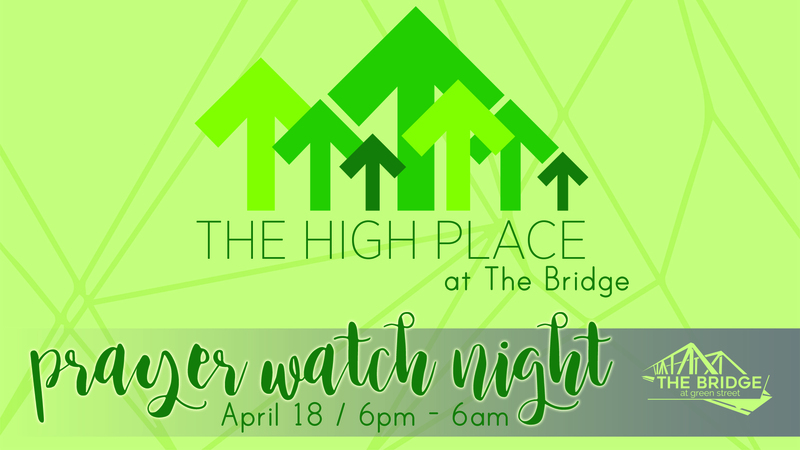 On April 18 [Maundy Thursday] we will be hosting a Prayer Watch Night at The Bridge. From 6 pm – 6 am our prayer center, The High Place, will be open to individuals and families for prayer. Will you consider joining us during our night of prayer? Stay as long as you are able – prayer outlines and specific prayer requests will be provided. Contact Kathy Hurry at khurry@fbs.org or call 864.699.4207 with any questions. Do you desire to reach your neighbors for Christ? Want to learn more about navigating cultural, social and financial barriers with God’s Love? 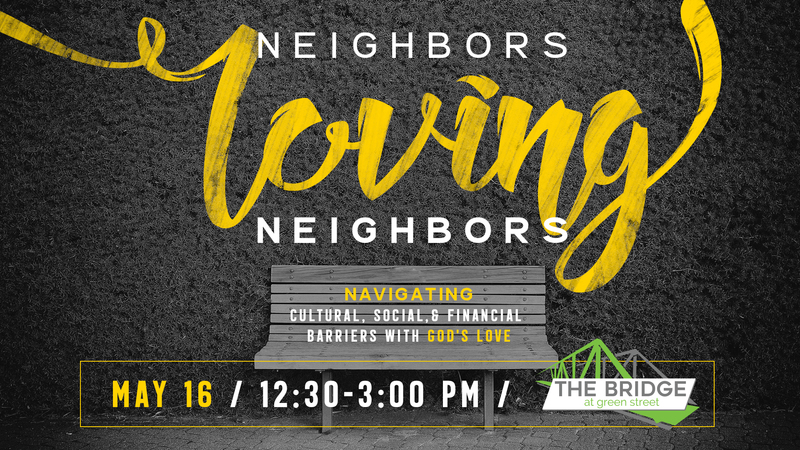 Join us May 16 at The Bridge for Neighbors Loving Neighbors by registering your attendance. If you qualify for food assistance, you are able to receive a food box from our market once per month during hours of operation. You qualify if you receive EBT, SSI or TANF or fall below the specified income guidelines. Those income guidelines are posted at The Bridge. You do not need an appointment for a food box. The Bridge has a clothing Wearhouse which is full of wonderful gently worn clothing. We have clothing for adults and children, as well as a Baby Boutique, which may include baby items other than clothing. Anyone is welcome to shop! Items are available for a $3 donation per bag. Larger items that do not fit in our bag are a $5 donation per item. You may shop once per week, and purchase up to three bags per week. If you are in need of financial assistance with a bill, we may be able to help you. However, please note that we are funded solely by donations so the financial assistance may be limited. We see clients by appointment only. First, before scheduling an appointment, you will need to attend an Informational Session to learn about our guidelines and requirements. Informational Sessions are held each Monday and Wednesday mornings at 10 am. No appointment is necessary to attend; just show up. Please note that messages left at The Bridge regarding financial assistance will not be returned. All questions will be answered at the Informational Session each Monday and Wednesday mornings at 10 am. 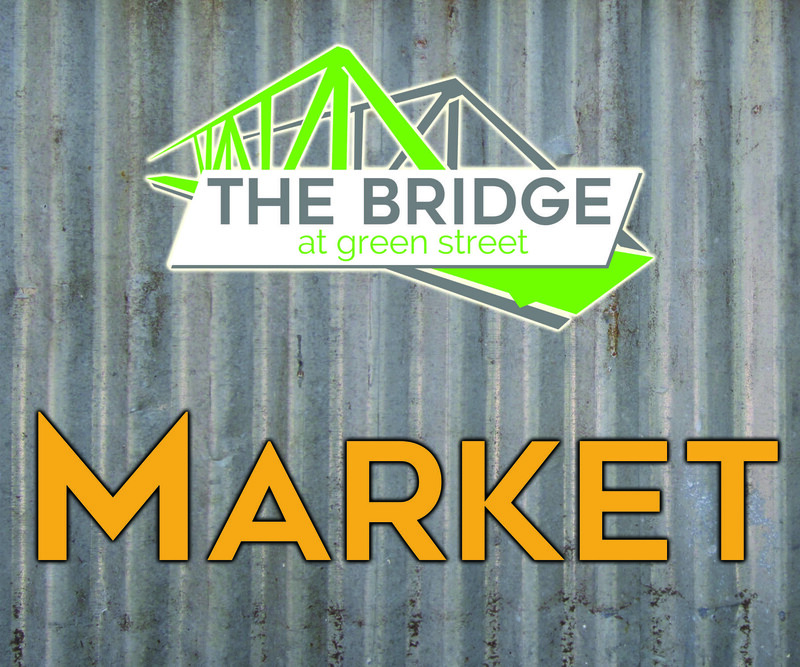 If you have a Contingent Commitment (Promise of partial payment) from another agency, you will need to bring that paperwork to The Bridge at Green Street during hours of operation. 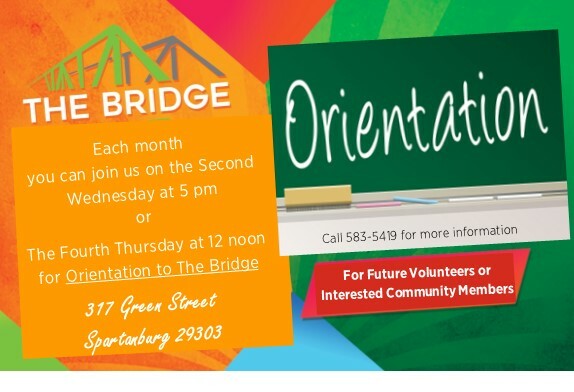 It is not necessary for you to attend the Informational Session prior to coming to The Bridge. However, please note that while we will make every effort to help you, a Contingent Commitment from another agency does not guarantee assistance from The Bridge. If you have a Contingent Commitment from us at The Bridge and have paid your portion, please leave a voice mail for our Financial Counselor with your name, date of birth, type of bill and account number, along with how much you paid. Or you can bring the proof of payment in person to The Bridge during hours of operation. The Bridge offers refurbished adult bikes for a $20 donation, which includes a helmet and bike lock. These bikes are not new, but rather gently used so they do not come with a guarantee. We also accept donations of used adult bikes. You can either obtain a bike or donate a bike during hours of operation. If you need to donate a bike at other times, please call us at 864-699-4450 to make special arrangements. 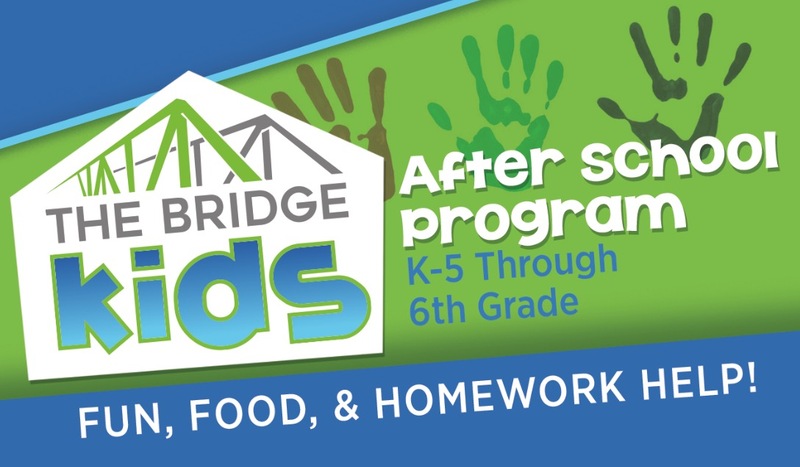 Bridge Kids is an after school program for Spartanburg Northside children K-5 through 5th Grade, Tuesday & Thursday Afternoons 2:30–5:30 PM at The Bridge. Kids can come for fun, food, and homework help! If you would like to volunteer with Bridge Kids, contact Sherry at shsmith@fbs.org or call 864-699-4335. Please contact Sherry to place your child on the waiting list for this program. 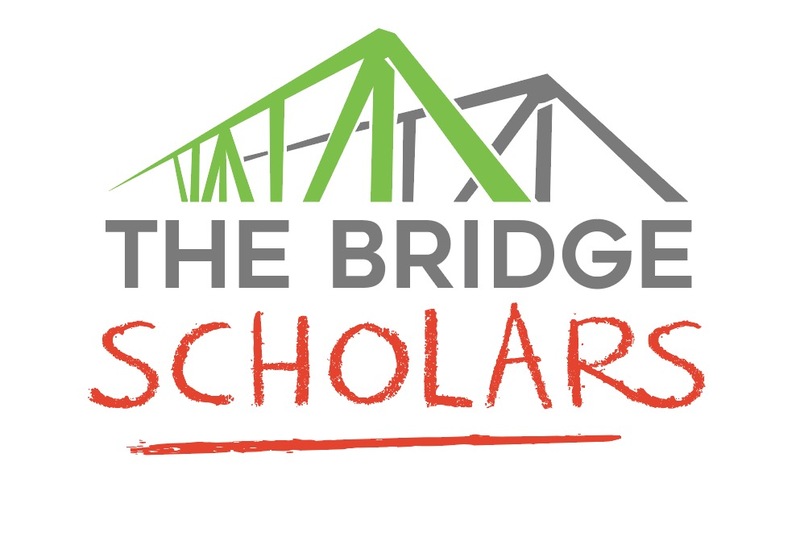 The Bridge Scholars is our ministry to Middle School students. They usually attend Carver Middle School and come to The Bridge on Monday afternoons. This program is popular and we currently do not have openings. However if you are interested in placing your child on a waiting list, please call 864-699-4335 to leave a message for Sherry Smith, the Director of Children’s Programs. 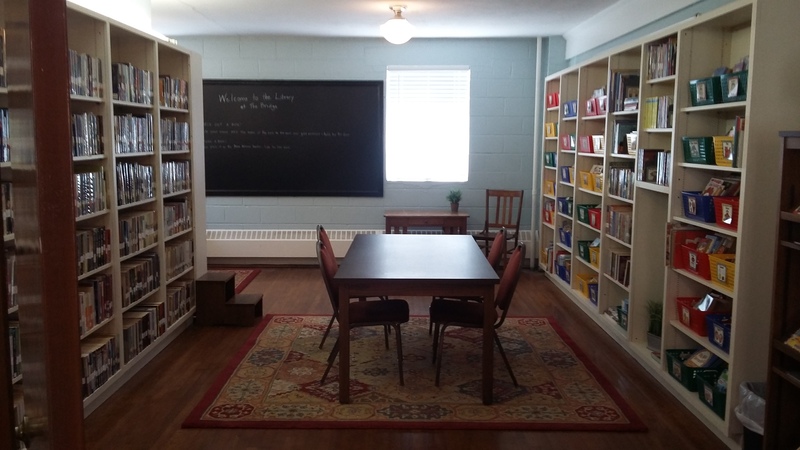 Everyone is welcome to visit The Bridge Library. Come browse, read, and check out books Wednesday evenings from 5:30 – 6:30 pm. 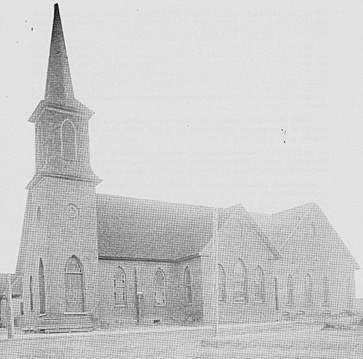 In 1889, our church planted Green Street Baptist Church near the Spartan Mill to reach the community for Christ. In 2016, 125 years later, the members of GSBC voted to give back to their “mother church” and The Bridge was born. Click below for the full history!